Between March 30th and April 12th, IOST continues to power forward in its ecosystem development strategy. With multiple Dapps already online, we are also seeing a strong pipeline of new Dapps to be launched within the coming weeks. We continue to see rapid user growth and healthy transaction volumes for our Dapps that are already online. We expect the launch of OASIS to be a game-changer in the Dapp industry and be a channel that brings ordinary users without technical crypto knowledge into Dapps usage. The best technology is always invisible. In the spirit of Dapp discovery, the IOST Foundation will share new Dapps built on IOST with the community. However, if you see this disclaimer, please be mindful that this is a third-party developed application. This is not an endorsement by the Foundation. No due diligence has been done by the Foundation. As such, please do your own research before using the Dapp. In event of uncertainty, please do not use. Mango Dice is a dice game that allows users to play dice via smart contracts. 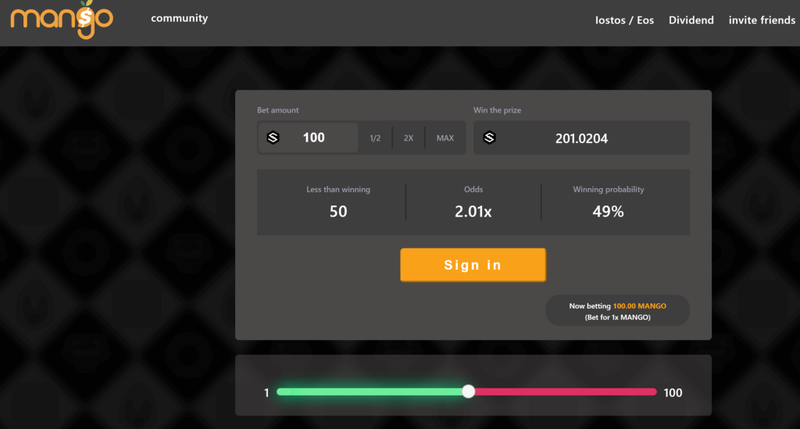 IOSTPlay is a next-generation digital gaming platform that aims to create an engaging platform that is fun, fast, and fair.